If video killed the radio star, then can traditional art forms survive new technology? That is the question which sits at the heart of Rab Ferguson’s novelette, The Dancer, published by Unsung Stories. 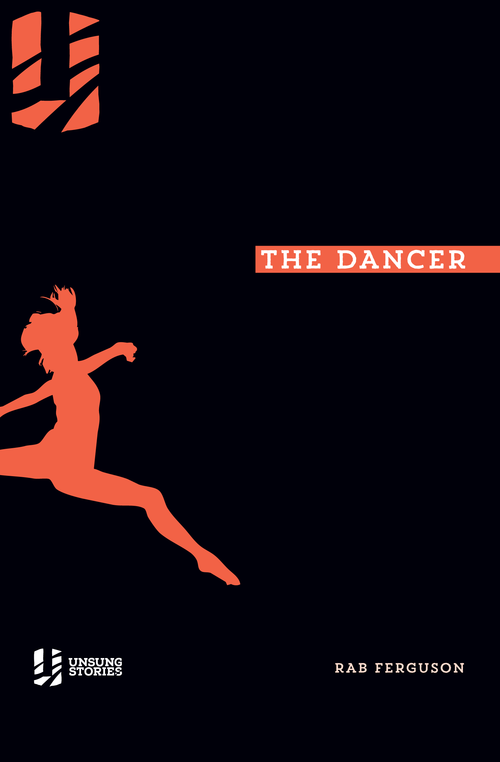 A conceptual science fiction story, The Dancer is, at its heart, a question about the future. The story follows the career of the eponymous Dancer, Penelope D’Silva, as she tries to create a ballet that will convince her audience to come to live performances rather than watch recordings of her shows. D’Silva, with the help of her manager, must unpick her own art to try and discover the key characteristic that makes a live performance impossible to imitate—to persuade the crowds to see the real thing. Ferguson’s characters are believable and deep. The title character has a recognisable passion for her art, combined with a recognisable arrogance that sees her art as the most prestigious form. While the story closely follows D’Silva’s frame of reference, both her manager and her audience—who are personified almost as a singular being—have a depth of character that is impressive for such a short novel. Even the minor characters, which appear and disappear with each performance, are believable without relying too heavily on cliché. The setting is a combination of familiarity and unfamiliarity that makes the concerns of the characters not only believable but entirely relatable. An updated New York theatre scene bears all the hallmarks of performance art around the world, with D’Silva fulfilling the role of the inevitable prima donna. After the initial road bump at the outset, the story’s main technology fades to the background where it is replaced with the familiar issues of crowd numbers and ticket sales. In the end, it is D’Silva’s earnestness that gives the reader a desire to see her succeed by the climax of the story. The story depends on a well-developed universe, where three-dimensional reproduction technology is convincing and common-place. This technology creates holographic images so detailed that even real people can be mistaken for images; and is complex enough to capture the entire activity of a stage show. The brevity of the novelette makes this difficult, and the opening scenes of the story are built largely around the need to explain this technology. This rapid introduction makes the beginning of the story feel a little forced; but is rescued by the commentary of D’Silva, who provides a context and an excitement that prompts the reader further into the story. The real heart of the story is a question which D’Silva argues with herself over for most of the second half of the novelette: what makes a live performance unique? She has the faith of a true believer that ballet cannot be captured by the camera; and when her audience does not share her conviction, she is forced to examine more closely what it is that makes her performances special. For her, the connection between artist and audience is the true essence of art, but in the story she discovers that her audience does not feel that connection in the same way. So, she must look at the performance from their perspective to see what makes each performance unique to them, in hopes that this establishes the connection she wants so badly. The irony of this question is in D’Silvia’s choice of subject matter. She is so concerned about the imitation of her performances, she nevertheless writes her ballets built around stories like Romeo and Juliet, Macbeth, or Red Riding Hood. Unlike the crass imitation of the three-dimensional projection, she sees her replications of these stories as honouring and developing the original. This is never examined expressly by the author or the characters, but it provides a sharp backdrop against which to understand the story’s main dilemma: when is art original and when is it just a copy? The Dancer is an enjoyable, if brief, story, and one which invites the reader to examine their own world through a different universe. It is a story with purpose, and one which uses technology to reach a much deeper issue about the nature of artistic expression. It is human enough to be inviting, even to non-science fiction readers, and the essence of the story will resonate with readers long after they have put it down.